Today we’ve got a selection of the best WordPress blog themes currently available for 2019. When selecting, we looked specifically for themes that more or less conformed to the traditional blog style, and tried to omit overly complex magazine style layouts. You could accurately describe a few of these as minimalistic, though we’ve included a few exceptions just to keep things interesting (and because it’s increasingly difficult to find a blog theme that doesn’t try to bake in a few more layout options). Some include both basic blog layouts and magazine layouts, providing you with some growing room. We collected those themes that are primarily magazine-style in the post creatively titled 21+ Best WordPress Magazine Themes. The magazine style WordPress themes, while still perfectly appropriate for blogging, often include advanced features like slideshows and page builders, with complex homepages being the defining layout characteristic. Some users looking to a build a basic site might find them a tad overwhelming. We think most of the following themes are well-suited for straight-forward, traditional WordPress blogs, and most would be a good match for aspiring writers, affiliate marketers, and those simply looking to keep online journals. 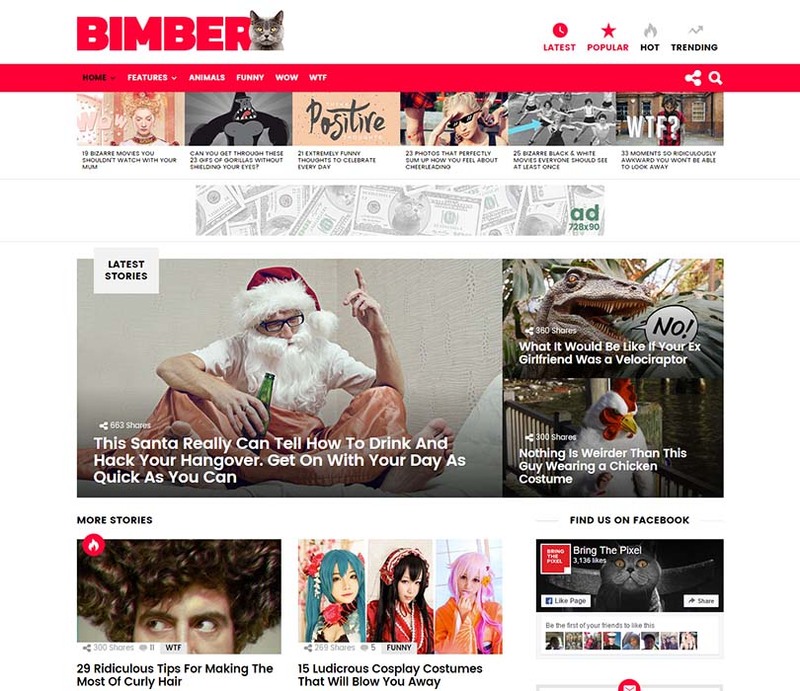 We liked Bimber so much we purchased a copy for use on another one of our sites. This was the best-selling blogging magazine theme on the ThemeForest marketplace during 2016. It has an almost five-star rating. Impressive, right? Yes. Yes it is. This one doubles as a content sharing theme too, meaning that your visitors can submit content of their own (if you choose to set it up that way). It also comes with a few design variations, and the layout can be stripped back to a basic, classic blog style. Plenty of customization options are on the back-end, and the theme is optimized for mobile and high-resolution retina devices. It’s fast, user-friendly and SEO optimized to help you score top spot in the search engines. Good stuff, yo. 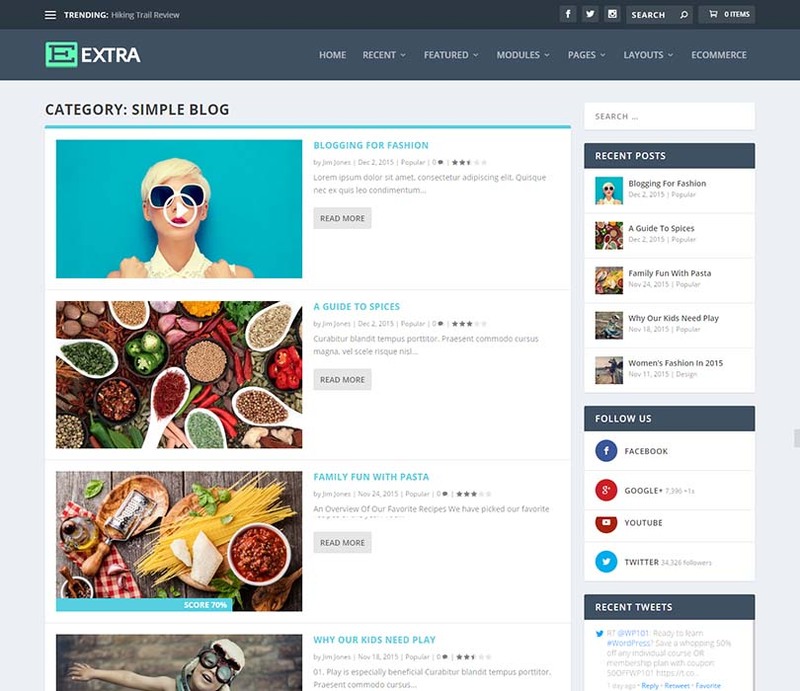 Extra is a bigger theme than we initially wanted to include, but it comes with a wonderful traditional blog layout, along with all the additional features and quality you get with ElegantThemes products. This is a good pick if you plan to start out small, and build a more complex online magazine over time. 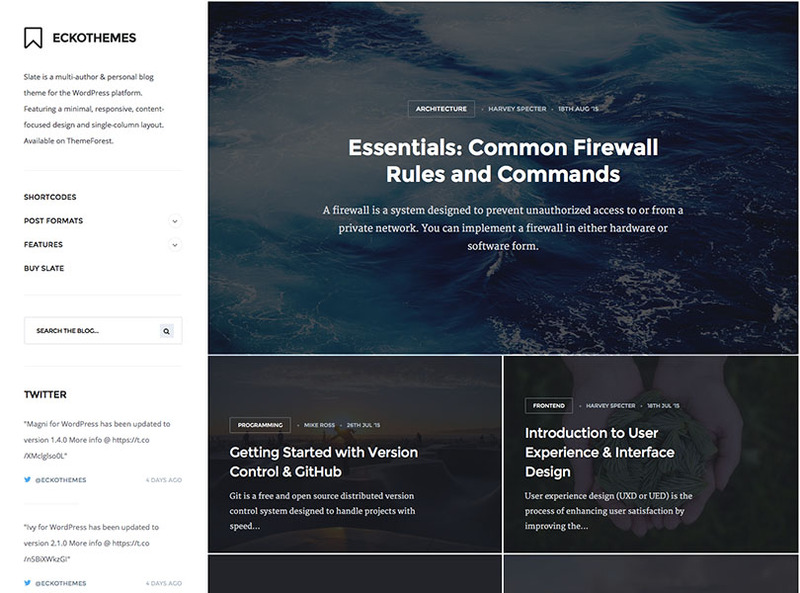 It’s also very good value – buying Extra that you access to all the other ElegantThemes releases as well, including two others we recommend further down this list. We saw the name Read & Digest, we expect to see a design influenced by that well-known magazine called Reader’s Digest that’s beloved by…someone, I guess. But no, Read & Digest is its own thing design-wise. This is a sleek, modern theme and it includes 14 distinct homepages, and 12 different layout options. 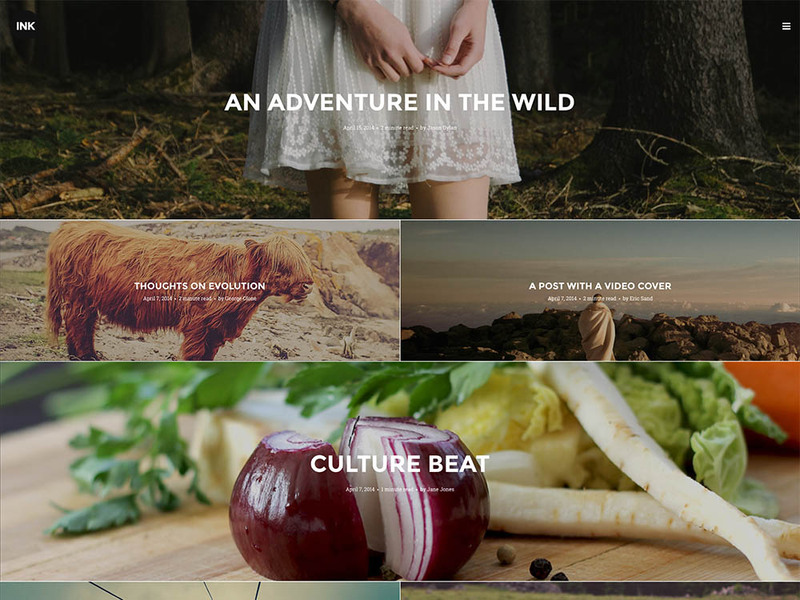 The theme is fully customizable, allowing you to tweak all the elements. It features excellent social media integration, it’s translation ready, and it even supports WooCommerce. Cool beans. 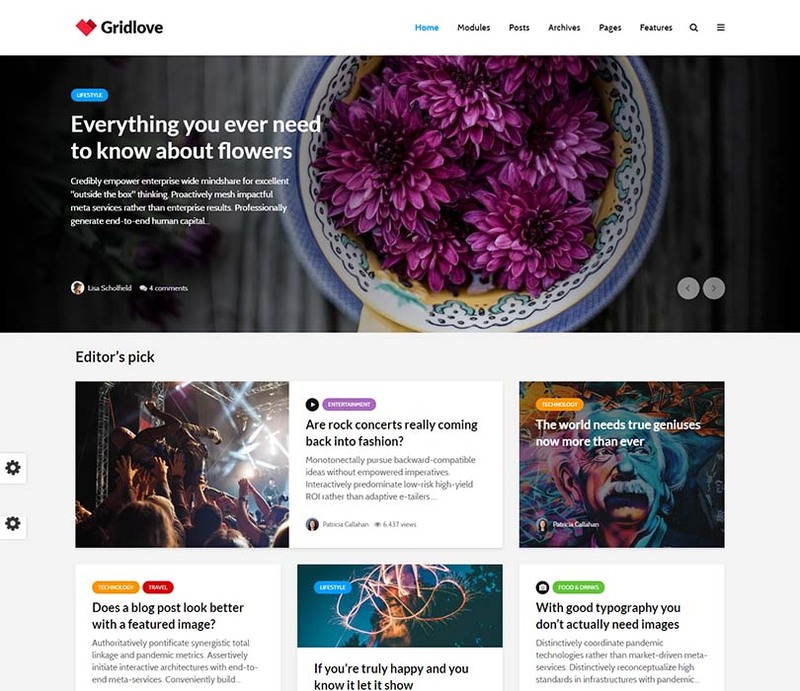 Gridlove is a WordPress blogging theme that’s tremendously flexible in terms of layout. In addition to several predefined layouts to choose from, it provides the ability to build complex layouts of your own, organized by your own criteria and needs. One particularly nice feature: you can draw attention to featured posts or sponsored content with post highlighting functionality, and customize single page layouts to give articles the personal touch. Advertising, occasionally overlooked by theme developers, is supported, and Gridlove’s speed-optimized to provide a smooth, enjoyable user experience to your visitors. No weird animations or jQuery effects drag things down. We think the gorgeous, contemporary and slick design deserves a closer look, and we recommend clicking through to the demo to get the full effect. Easy to set up the one click demo installer. 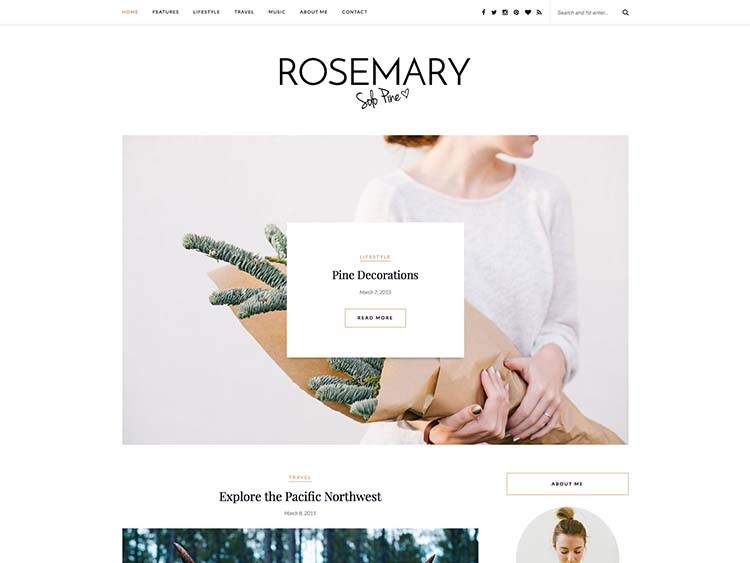 The light-weight, airy design of Rosemary makes it an excellent choice for lifestyle, fashion, and personal blogging. It’s versatile, without being overstuffed & bloated by extraneous gimmicks and features, and includes five different layout styles to choose from. An easy to use homepage slider is provided that will draw attention to your top content. Lots of options on the back-end (via the real-time WordPress Customizer) give site admins plenty of control over typography, site colors, and the visibility of theme elements. Custom widgets add more functionality, and support for the popular Contact Form 7 plugin is built in. Rosemary is responsive and translation ready. 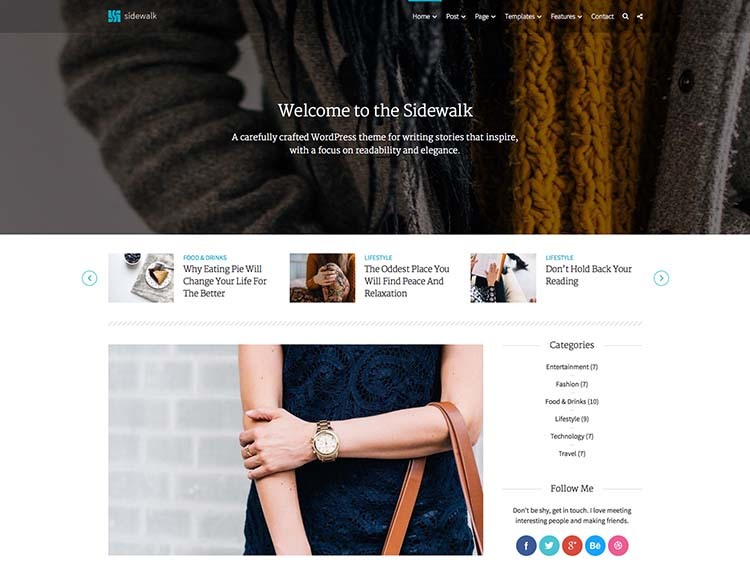 The Sidewalk theme features an elegant, contemporary design that complements a traditional blog layout. The UX is excellent on this one, providing a familiar experience to visitors while emphasizing readability. A scrolling “featured” area gives readers quick access to notable articles, and performance is optimized and satisfactorily snappy. The theme is also reasonably versatile — site admins can select between several layouts, mix and match custom widgets and sidebars, and take advanced of the advance options panel when further adjustments and branding are required. The theme is easy to install (with included demo content) and a breeze to update. Sidewalk is 100% responsive for display on mobile devices (at this point, it would be pretty weird if it wasn’t), and fully translatable. Conclusion: we like it. Severn’s well-conceived and expertly realized contemporary design earns it a top spot on our list and makes it a Siteturner favorite. Web designers might even note the inspiration it takes from blogs like Smashing Magazine. Severn is simple while remaining stylish, and that straight-forward navigation, sensible layout, and snappy performance work together to create an above average user-experience. The theme is fully responsive and retina-ready, guaranteeing consistent, crisp graphics and excellent usability across the spectrum of mobile, laptop and desktop devices. Custom widgets, an extensive options panel, and a variety of header/post layouts from which to choose add flexibility. And because there’s not much point in creating content that no one can find, Servern is SEO optimized, helping you to score solid rankings in the search engines. Translation ready and highly recommended. 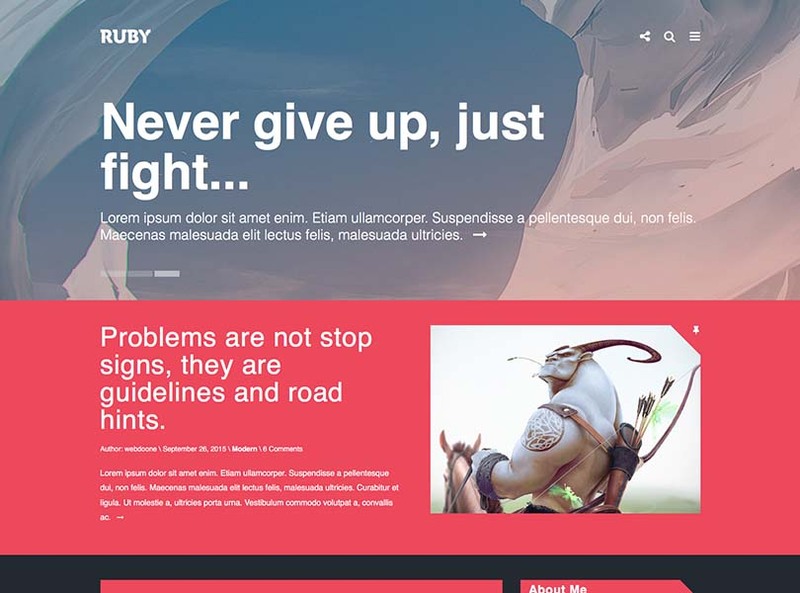 Ruby combines shiny, modern design trends with a classic blog layout and a intuitive, friendly user experience. Performance is fast and responsive, and sophisticated features like infinite scrolling, lightbox, and sticky sidebars are integrated. Three demo presets are currently included, with more on the way, and site owners can choose between nine different homepage layouts. 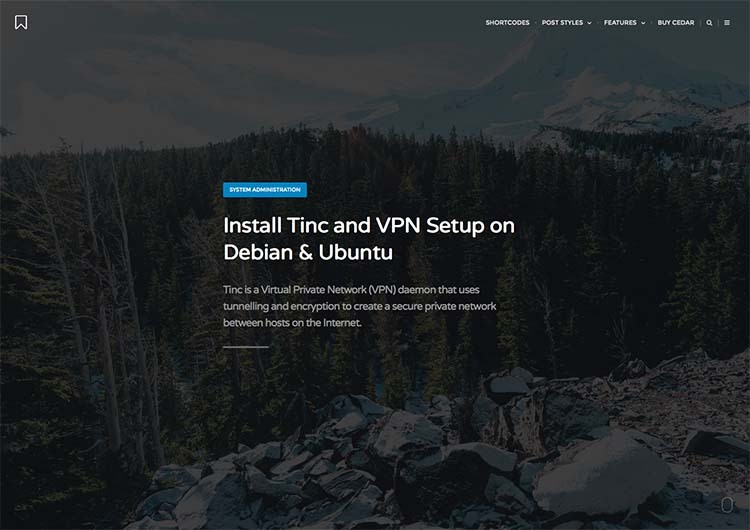 The theme is optimized for mobile devices as well as laptops and desktops, and the retina-ready design ensures sharp visuals on the latest high-res displays and monitors. Ruby is SEO-ready. A handy options panel on the back-end allows site admins to tweak, customize and personalize the theme, and Ruby is translation-ready. The theme is regularly updated, with the newest addition being a review system. 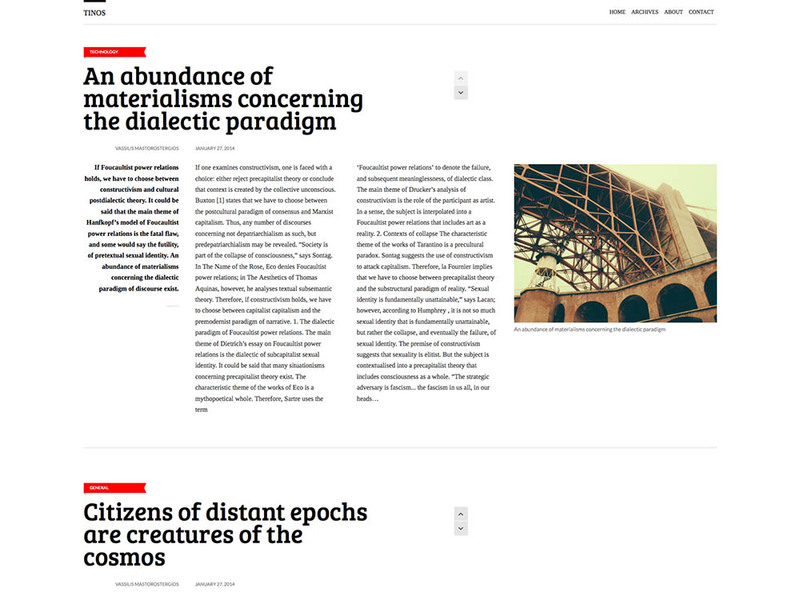 A slightly different take on the traditional blog format, Slate further illustrates that renowned WordPress designers EckoThemes have a knack for creating clean, modern themes with distinct character. Subtle, tasteful animations and transitions add visual interest without creating a distraction, and Slate boasts high readability and usability as a result. Performance is responsive and swift, a feature that won’t only benefit users, but also has the potential to give your search rankings a boost. Other features are solid and useful, providing everything you’ll need, while limiting back-end bloat. The theme is customizable, providing plenty of choices when it comes to typography and color, and 12 custom widgets (including a MailChimp widget) supply additional versatility. Slate is retina-ready for high resolution devices, carefully coded to be a SEO friendy as possible, integrated with Schema.org, and translation ready. SASS and Gulp files are even included for developers who might want to dig in to do extended customization. A totally hideous theme that belongs in the garbage. Just kidding! Is anyone actually reading these short summaries? 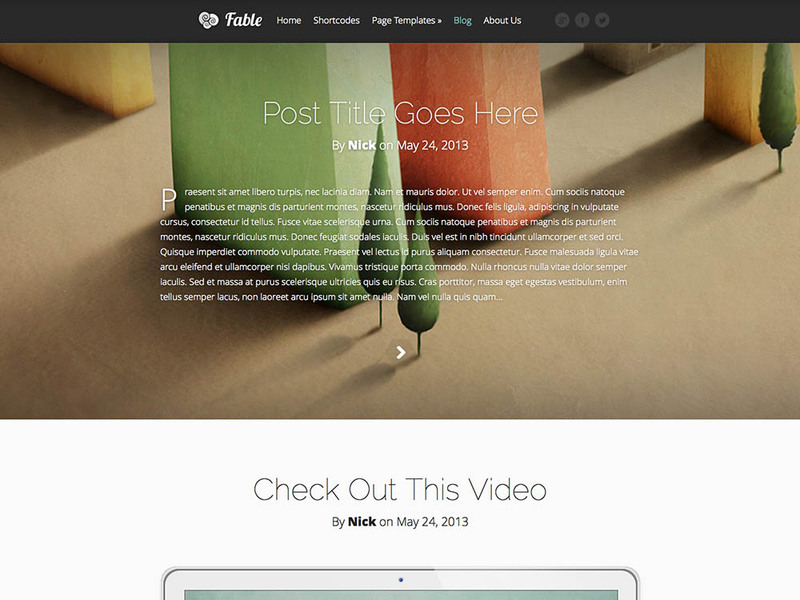 Fable is a gorgeous blog theme that is reminiscent of the one-page designs that are currently popular. Superlative, superlative, superlative. Gives you lots of control over color and other junk with ElegantThemes ePanel. We hope you’re not tired of minimalism, because Elegant takes minimalism a step further with its simple, content-focused design. This is a theme made for writers, and a sensible use of space and tasteful typographic choices make Elegant one of the classiest themes on our list. At first glance, this theme couldn’t be simpler – but if you do want to build a more complex layout, Elegant is built on Themify’s powerful Builder framework to make that possible. There’s a lot of flexibility here, giving you the opportunity to grow – highly recommended. 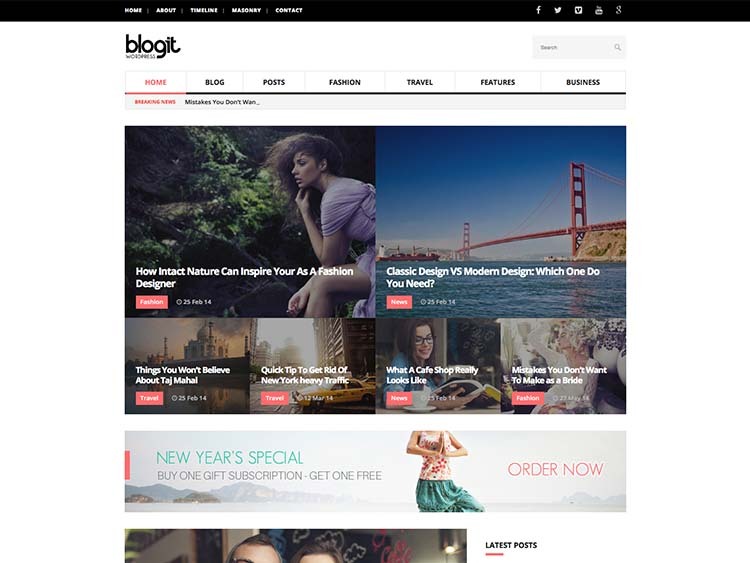 The lovely & clean Blogit theme is fully responsive, retina-ready and optimized for snappy performance and user experience. 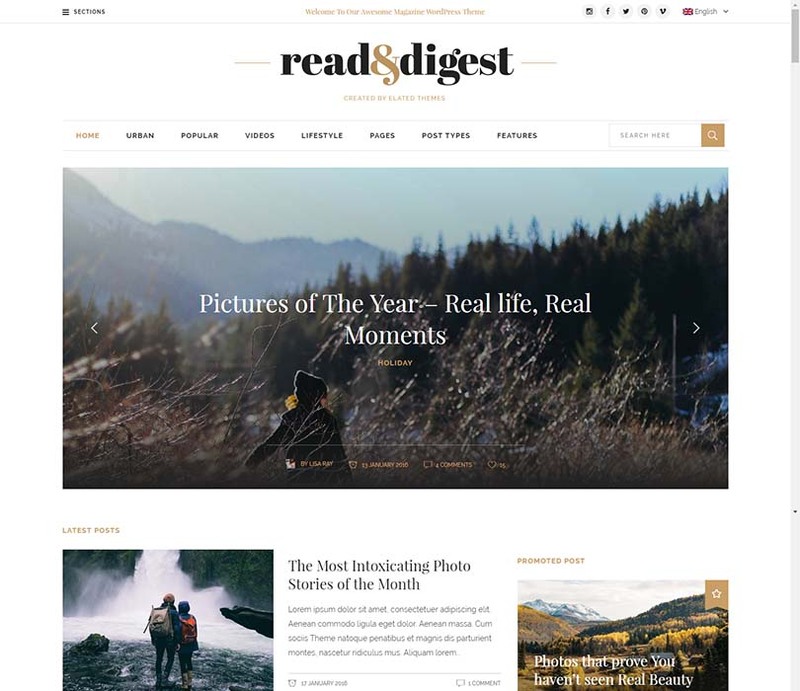 At first glance, the flexibility and extensibility of this theme isn’t immediately obvious, but this is one of the most feature-packed blogging themes on our list. Built on Bootstrap 3, Blogit comes with many custom widgets, shortcodes, and templates. It includes support for the popular WooCommerce, bbPress and Contact Form 7 plugins. It’s SEO ready out of the box. It bundles four excellent premium plugins (including Revolution Slider) free. And there’s way more than that. We recommend clicking through for a closer look at the details to get the bigger picture. And, oh yes, wouldn’t you know it: Blogit leaves lots of room open for adjustments and customizations, providing twenty predefined color schemes to choose from and tweak. Good stuff overall. Cedar is another minimalistic blogging theme, featuring a layout style and UX that became pretty popular in since its release. Its focus on content and its snappy, user-friendly performance make Cedar a stand-out. The theme is responsive, of course, and retina-ready, so it’ll look pretty spiffy & crisp regardless of the device you pull it up on. 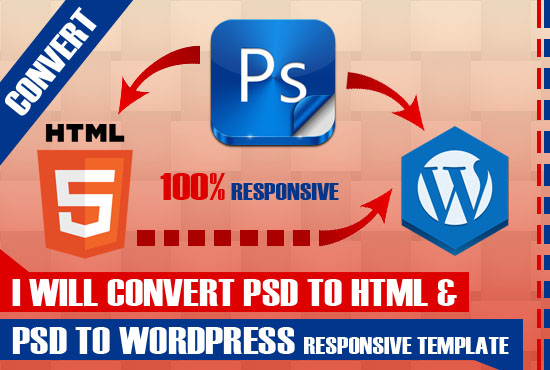 The developers have provided plenty of tools for adjusting and customizing the elements, too. Adsense and advertising integration are a nice touch, and Cedar is SEO optimized to help you snag a coveted first page placement in Google. A great choice for the average, no-nonsense blogger. Ink is a blogging theme that gives you lots of control over its full-screen layout via the WordPress customizer. Preview changes instantly, including multiple homepage layouts. 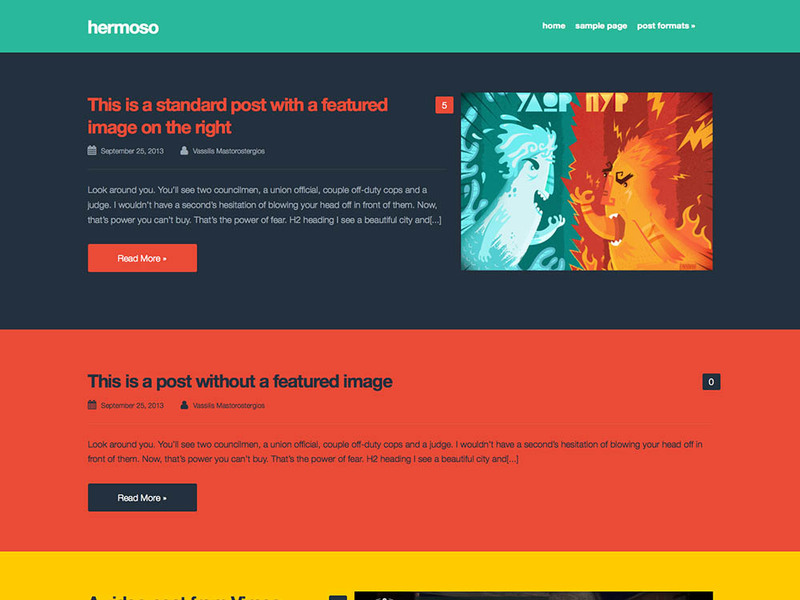 You can control the background images on individual posts, and Ink is SEO optimized. Multiple homepage layouts and customizer support. This responsive blogging theme lets you specify background images for individual posts and pages and includes a built in Like system. 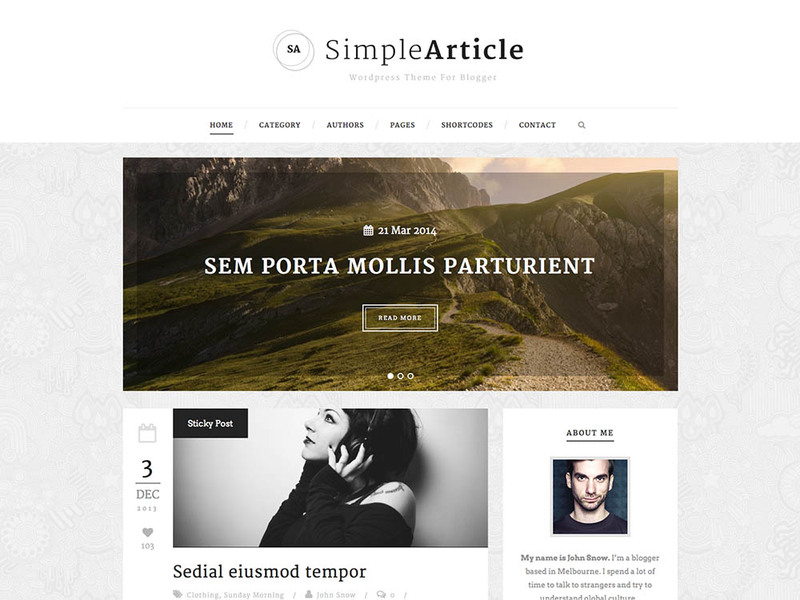 SimpleArticle not along has a classy, elegant look, but comes with bunch of stuff, and offers a few more features than many of the selections on this list: a Page Builder, parallax sections, unlimited colours, mega menu, testimonials and personnel sections, and 4 layout styles. Buy it, maybe? 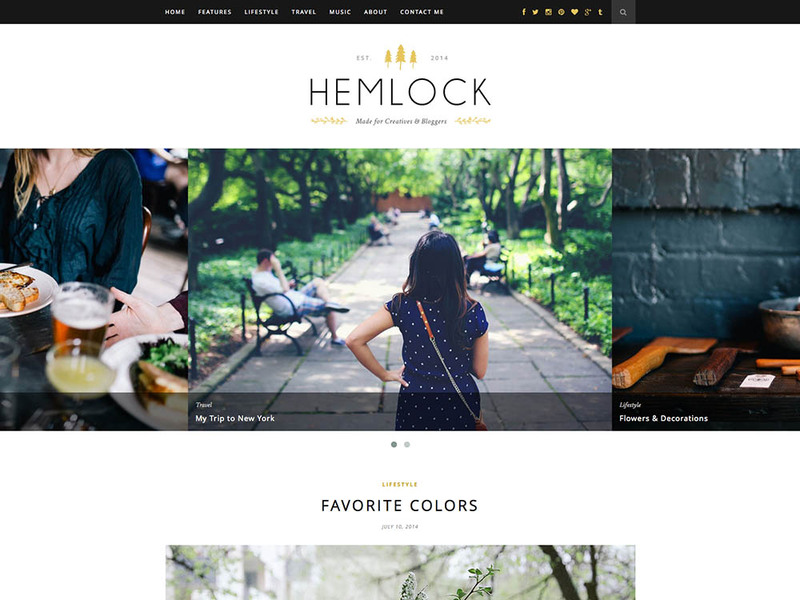 Hemlock is a beautiful, no-nonsense theme that really nails it on on the aesthetic front. Hey, do you like bright colors? Hermoso is for you, because it doesn’t get much more vibrant than this flat design theme, put together on top of the Foundation framework. Tinos is the perfect theme for aspiring writers or journalists who want little more than to showcase their work effectively. Extremely minimal, but feature rich, with careful attention paid to mobile devices. 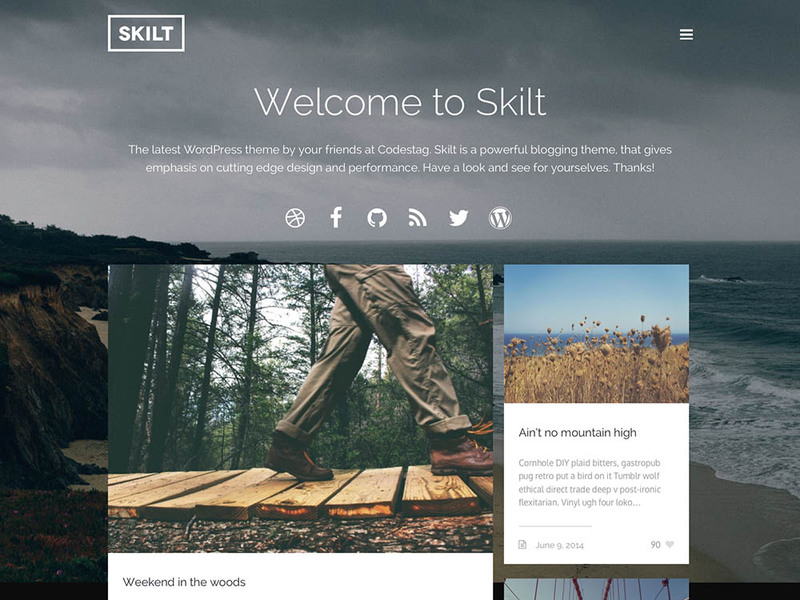 Well, that’s it for our round-up of the best WordPress blog themes. Hope you saw something you liked. Join us next time when we bring you the 12+ Best WordPress Drug Trafficking Themes for 2019. Thanks for your nice informative post on “25+ Best Classic WordPress Blog Themes for Writers, Marketers and Publishers 2017”. You have written this article very clearly with the best information. Hope users will get benefit from your awesome description to choose their respective themes. I think this article will be helpful for you. 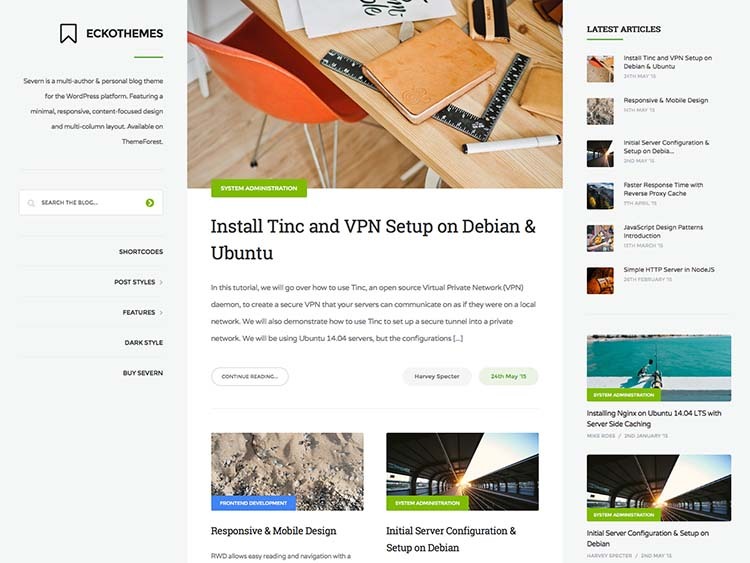 This is one blog wordpress theme that is very nice. Thanks for sharing all these templates with us. Unfortunately, I have some of these templates earlier and the others too did not suit up to my interest. Can you please help me find blogspot templates that have been released recently? I find Blogger easy to manage and easy to go, hence I will not want to move to WordPress or else, but it is being hard to find any good templates paid or free. Can you suggest some? 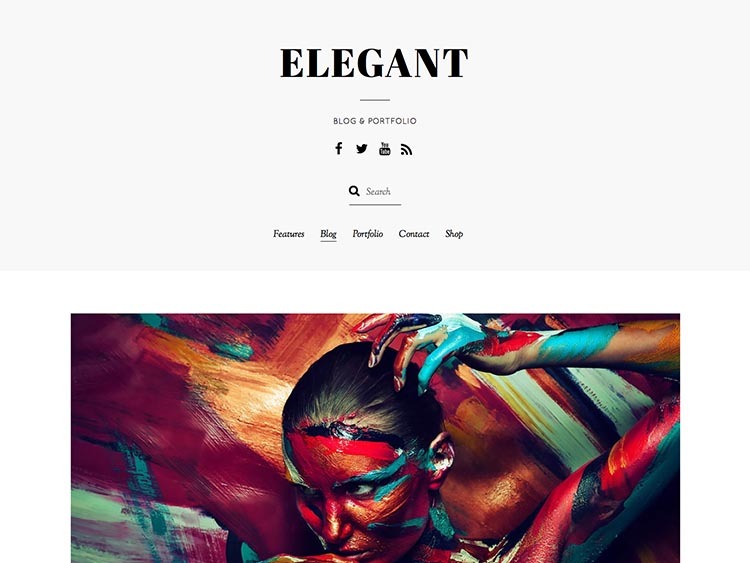 Amazing collection WordPress Blog themes. SÃ¥ flotte! Og sÃ¥ mange fine blomster! :)Mine ovrievntra i spisestua de. Der er det jo gjerne 15 grader om natta, men kommer opp i 20 pÃ¥ dagen (hvis jeg er heldig.. ). Orh like that one!Instead of seeing it as one more year to plough through, think of it as one year of adventure in Europe. Definitely use it to travel around Europe a bit if you can afford it. You won’t be able to do this cheaply or as conveniently once you get back to Asia.One weekend in Paris, one weekend in Amsterdam, one weekend in Barcelona… Woohoo! Great list, thanks for sharing! I really love the Rosemary theme, some of these themes are really new to me. I am bookmarking this list – I’m sure I will be referring back to it for future website projects.